Ionia, located in Anatolia, once a territory of Greece, now a part of Turkey, was the womb of Western philosophy and science. 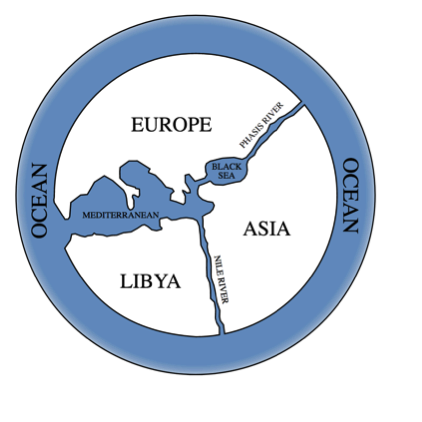 The Ionians became one of four Greek tribes, becoming known as the Ionian League, a religious community that came together annually to worship the sun god Apollo. The Ionian Enlightenment began in several cities, including Miletus, Samos, and Halicarnassus. 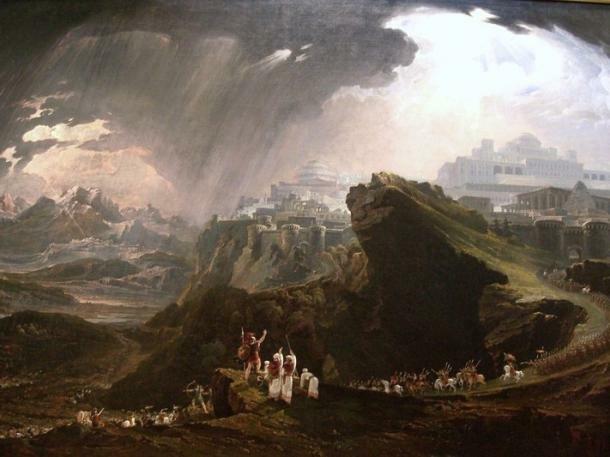 The city of Miletus was culturally connected not only to Anatolia, but also to Mesopotamia and Egypt, which made it a cosmopolitan center known as “the jewel of Ionia.” It was here that the first philosophers put aside the traditions of the gods to pursue instead a world-view grounded in reason and evidence. The Milesian school was exemplified by its first three great minds, Thales, Anaximander and Anaximenes. The lives of the early Greek philosophers may be better known with a reading of early biographers like Plutarch (c. AD 46 – AD 120) and third century Diogenes Laërtius. The first known Western scientific philosopher was the sixth century BCE Ionian Thales of Miletus (640 – 546 BCE), known today only by what Aristotle wrote about him. Aristotle called him the Founder of Natural Philosophy. He developed geometry either from Egyptian sources or on his own, he practiced astronomy and sought natural explanations for phenomenon in the four ancient classical elements; fire, water, air, earth, and a fifth eternal, causal element. 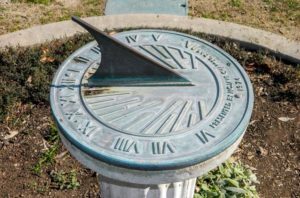 Thales is credited with discovering the solstice and equinox. Thales of Miletus and the secularist philosopher Xenophanes of Colophon (570 – 475 BCE) may be said to be the first humanists. 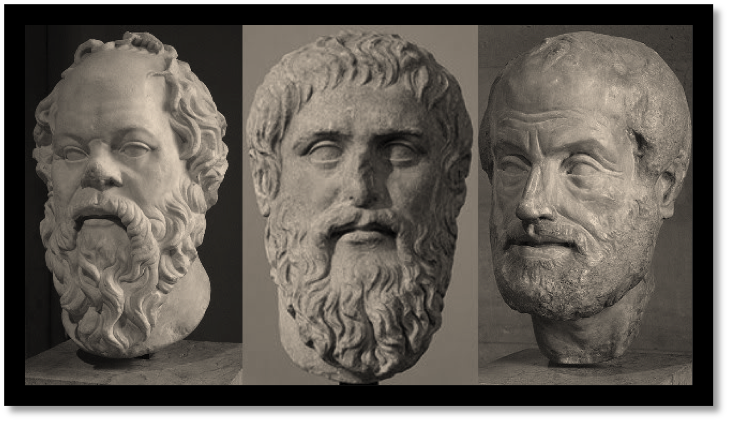 These were philosophers who questioned or rejected anthropomorphic gods and the supernatural and sought, instead, to define the universe in terms of human reason. Anaximander (610 – 546 BCE) was a pupil of Thales who delved into cosmology, astronomy, meteorology and biology. He was the first to draw a map of the known world and may have invented the gnomon of the sundial. Anaximenes (585 – 528 BCE), a pupil of Anaximander, tried to explain the mechanism behind Anaximander’s cosmological world-view, a system that would later be termed Material Monism. Diogenes of Apollonia took up the proto-scientific teachings and methods of Anaximenes but claimed that air was the origin of all things and a soul; an eternal, conscious and intelligent cosmic mind. The Milesian school was the root of the greater Ionian school, which was formed of sixth century BCE natural philosophers that rejected superstition for rational inquiry. Rather than accept the myths of the gods and traditional cosmology as defined by Homer and Hesiod, these men were interested in secular pursuits such as geometry physics, astronomy, geography and politics. 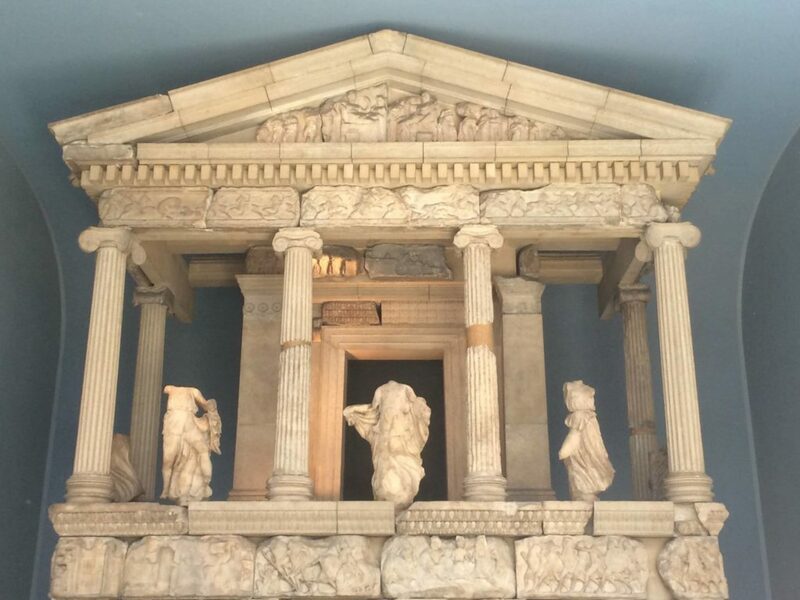 Western philosophy, then, began with the Greeks. Political and social organization is illustrated in Homer and Hesiod in the eighth century BCE. It is in the fifth century BCE that the polis originated, with Thucydides (c. 460 – c. 400 BC) and Herodotus (c. 484 – c. 425 BCE) that the study of history begins, and with the scientific philosophers that Western philosophy begins. Pythagoras (570 – 495 BCE) was an Ionian mathematician and philosopher who started his own proto-scientific school to promote a program of exercise, diet, and music for the maintenance of health. Early Pythagoreans taught that the highest goal of man was to reach a mystic union with the supreme god. The first stage in this accomplishment was the purification of the soul, the second was contemplation, and the third was the mystic union, itself. Pythagoreans believed in reincarnation and endeavored to perpetually improve the soul by finding transcendence in achieving harmony with nature. Both spirit and nature were part of the total world of man, and the whole man was to find happiness in the whole system. Underlying Pythagoras’ holistic world-view was his conception of universal principle, its expression in number, and the application of number to the various sciences. To him, number was divine, the source and underlying principle of the universe. The number One represented to him the Monad, the unity of all things. Two, the Duad, was the origin of division and multiplicity. Aristotle borrowed from Pythagoras his list of opposites, which is at the foundation of metaphysical philosophy. 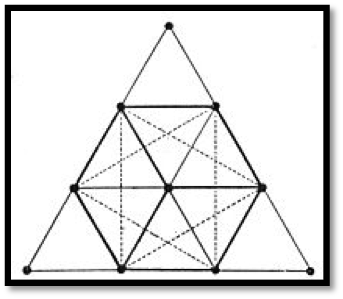 The tetraktys represented the perfection of number, the progressive degeneration of the One into four levels of manifestation, and the return to unity in the number Ten. Thus from 0 arises 1 (01) and progressing through the Decade 1 returns to 0 (10). Each level represents a geometrical form, One the point, Two the line, Three the plane, Four the solid. Pythagoras was the first to count social and political matters as branches of philosophy, and so doing, reasoned, like Plato and Aristotle after him, that government was best managed by qualified individuals rather than by the wealthy or the general population. He also influenced the medical philosophies of Hippocrates, Plato, and Aristotle. Philolaus (c. 470 – 385) was a Pythagorean and Pre-Socratic Greek philosopher who may even have been the successor to Pythagoras. Philolaus is credited with the first theory that placed the earth elsewhere than the center of the cosmos. Hippasus of Metapontum, a fifth century BCE Pythagorean, was ostensibly the discoverer of irrational numbers. Heraclitus (545 – 475 BCE) thought that the underlying element of the cosmos was not water or air, as the philosophers before him theorized, but fire. He was known for his assertion that “Everything flows.” Anaxagoras (circa 510 – 428 BCE), born under the Persian Empire, believed that a cosmic mind mixed and separated an unlimited number of elements to form the material universe. He discovered the causes of the solar and lunar eclipses. He was the first to bring philosophy from Ionia to Athens. ‘Joshua commanding the sun to stand still’ (1816) by John Martin. There are conflicting accounts about the life of Archelaus. He was a student of Anaxagoras and is alleged to have been teacher of Socrates. He is said to be the first to teach natural philosophy in the city of Athens. The Ionian school influenced many early philosophers. Alcmaeon of Croton (c. 510 BCE) may have been a student of Pythagoras. He studied astrology, meteorology, anatomy and medicine, and wrote Concerning Nature, possibly the earliest surviving example of a Greek medical text. Parmenides of Elea wrote the philosophical poem On Nature and was the founder of the Eleatic school of philosophy. He influenced Plato, who spoke highly of him and named a dialogue after him. Members of the Eleatic school included Zeno of Elea (490 – 430 BCE), the first to work with mathematical infinity and paradoxes; and Melissus of Samos, who argued that existence is ultimately an eternal One. The Athenian general Thucydides (460 – 400 BCE), one of the greatest historians and political philosophers of all time, was known for his rational explanations of history. Epicurus (341 – 270 BCE), in another step toward empiricism, rejected fantasies of the afterlife and founded his own school based on the view that gods did not reward or punish people; good and evil were equated with pleasure and pain in life. To Epicurus, the cosmos was an infinite empty space interjected by atoms. Atoms could be divided mathematically, though not physically, and falling through space could swerve, indicating that with free will humans could change the course of their own direction. Epicurus based his reasoning on direct observation and basic logic. However, Epicurus did not completely eschew religion, for to him, religious institutions provided opportunities to contemplate the gods as role models for the good life. Empedocles (c. 490 – 430 BCE), influenced by the Pythagoreans, is remembered as the originator of the four classical elements cosmology theory. The elements of fire, water, air and earth mixed and separated by the forces of Love and Strife as tiny particles to form the material cosmos. Anaxagoras and the Atomists famously expanded on this theory of tiny particles. Democritus (c. 460 – 370 BCE) imagined that a single substance, a prime matter, constituted all matter in the cosmos. The smallest unit of prime matter was the absolutely indivisible atom. Combinations of variant atoms formed the different kinds of matter. Today the study of elementary particles is called Particle Physics, the science of atoms and sub-atomic particles called electrons, neutrons and protons. The science symbol is a representation of the ‘atom,’ the smallest unit of matter. The atom is the building block of every chemical element: solid, liquid, gas and plasma. In the early 20th century Ernest Rutherford and Niels Bohr best illuminated how atoms were formed by a central nucleus surrounded by smaller subatomic particles. 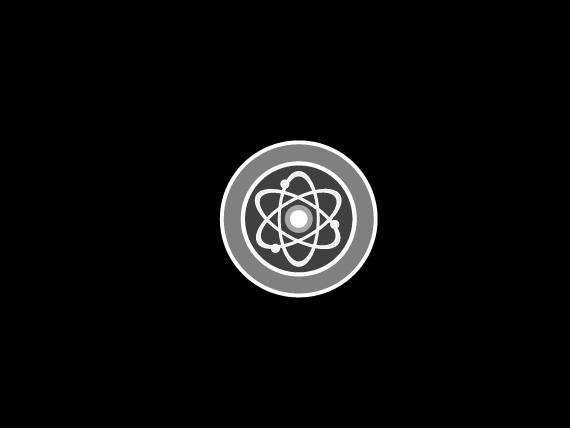 Although the Rutherford-Bohr model is now obsolete in terms of theory, the emblem is the quintessential symbol for science. Recent science has developed quantum theory, finding that subatomic particles can all be broken down into indivisible units called quarks, which have measurable electric charge and mass. Superstring theory posits that quarks may be broken down further into strings. M-theory (1995) is an attempt to unify all string theories into a single theory, hopefully to form a unified theory of the fundamental forces of the cosmos, conceived of as existing in eleven dimensions. It is generally accepted that a continuous vacuum of energy that includes all physical elements pervades the cosmos. The theory of the Celestial Spheres laid the foundation for the cosmology of Arab astronomers, Copernicus, Galileo, Kepler and Newton. The Greek philosophers held that the cosmos was spherical. They positioned the earth at the center of the cosmic system, surrounded by rotating wheels or concentric rings that carried the planets. 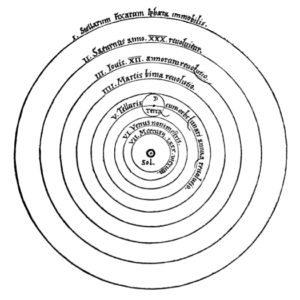 Eudoxus and Callippus, students of Plato, imagined many concentric spheres instead of rings. In his work, the Almagest, the Alexandrian astronomer Claudius Ptolemy (c. 100 – 170 CE) devised a system with concentric spheres surrounding the earth, each of the seven planets carried by at least two spheres. Above the spheres of the planets was the Heaven of the Fixed Stars. The outermost sphere was the Primum Mobile, the “first moved,” which gave motion to the rest of the system. Other astronomers invented yet further spheres to account for various astronomical phenomena. The German Nicolaus Copernicus (1473 – 1543 CE) sponsored the heliocentric model of the cosmos placing the sun at the center rather than the earth in On the Revolutions of the Celestial Spheres. The Primum Mobile was disposed of when the German Johannes Kepler (1571 – 1630 CE) convinced astronomers that the sun was the cause of planetary movement within the system. Copernicus’ diagram of the universe in De revolutionibus orbium coelestium, 1543. Hippocrates (460 – 370 BCE), the “Father of Medicine,” was influenced by the harmony of the spheres theory, which suggested that the planets are arranged by harmonic proportion. Thus Hippocrates sought a predictable order in the relationship between the motion of the planets and the lifespan of a disease. He began the fundamental scientific practice of objective experimentation. The rational study of medicine continued with Galen until the end of the second century and the decline of the Roman Empire. The Sophists were wandering philosophers who sold their instruction to whomever might pay. Each had their own philosophy but all might be said to have taught ‘knowledge.’ Like the early lawyers who followed them, they were criticized for their sophistry, the ability to argue for or against anything and reach any conclusion without recourse to truth. The Sophist taught philosophy, geometry, physics, astronomy, medicine and rhetoric, which would include lessons in literature, logic and ethics. It was debated whether a life lived between the extremes of indulgence and discipline was superior or inferior to that lived in absence of worldly pleasures. Where the Spartans adhered to the Stoic practice of self-denial and strict martial discipline, the Athenians lived a life of indulgence in food, drink, and merry-making. Each city claimed the virtue of moderation and rationalized their lifestyle according to their definition of it. 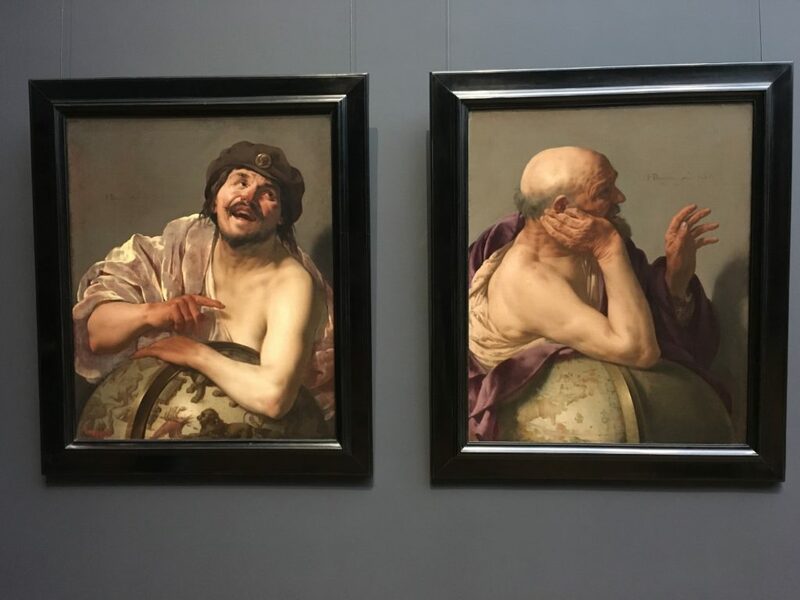 The Athenians argued that a man may only know his limits if he tests the extremes, and one could only keep his wits about him at all times if he were prepared to do so in extreme situations, therefore they accustomed themselves to heavy drinking. They maintained that to develop the natural martial potential of a nation the military should live naturally and train for battle only when necessary. The Spartans, they conjectured, were over-trained. From the ranks of the Athenian Sophists came the likes of Socrates, creator of the Socratic method, the foundation for critical thinking. Socrates (c. 470 – 399 BCE) never put his philosophies to paper but his student Plato (c. 424 – 348 BCE) did. 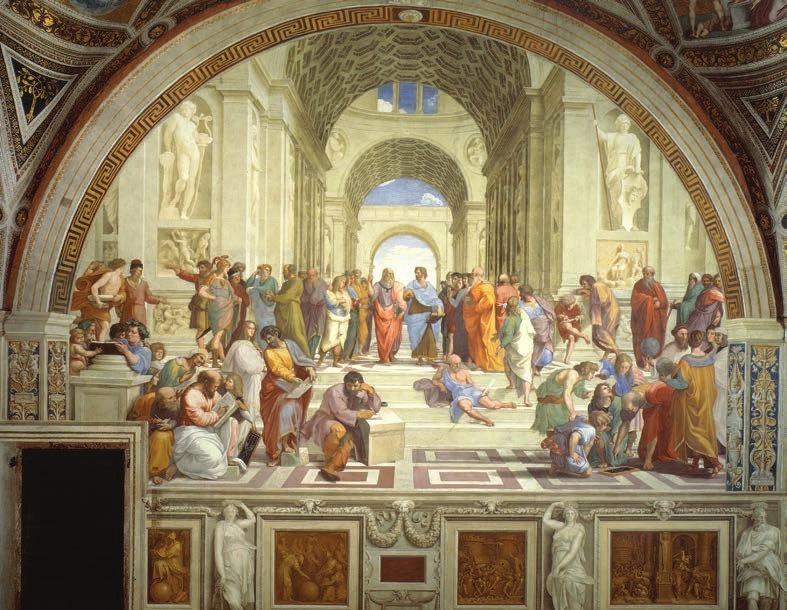 Plato founded the Academy, the first college, a skeptical school that helped inform the Hellenistic period (323 – 31 BCE). Plato’s works are reproductions of various conversations of Socrates with his contemporaries. He spoke on a vast range of subjects, from love in the Symposium, to politics in The Republic. Hippocrates and Plato are much like the Chinese physicians in their analysis of disease, especially prognosis. Plato bases his philosophy on the foundation of the four elements (Chinese Five Elements), he lists several physiologic functions under terms of anatomy and assigns to them an order of nature, creation and destruction, comparable with the Chinese elemental and organ relationships, and he believes that disease is the deficiency or excess of these anatomic aspects, of humors, or of elements (Chinese deficiency and over-control or insult). The Classical Greek proto-scientific philosophers imagined an original substance of the universe. Some asserted that this substance was permanent and that change is illusory, while others speculated that change is constant and all-pervading. This primeval mass is what later alchemists would name ‘First Matter.’ This primary matter formed the basic elements of the cosmos, as described by Empedocles. The four elements of Empedocles were heat, cold, wetness, and dryness; or Hot, Dry, Cold, Wet. Plato associated the four elements with the four most basic regular solids. Earth was the cube, air the octahedron, water the icosahedron, and fire the tetrahedron. 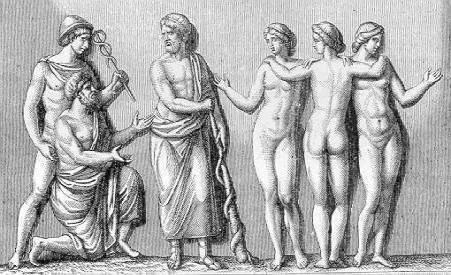 For means of pathology, Plato and his student Aristotle (384-322 BCE) divided the universe into four levels and assigned corresponding qualities and humors of the human body. Plato describes the causes of disease as wind, phlegm, or bile in The Timaeus, which is very similar to the Chinese explanations of the causes of disease in the Yellow Emperor’s Classic of Medicine. 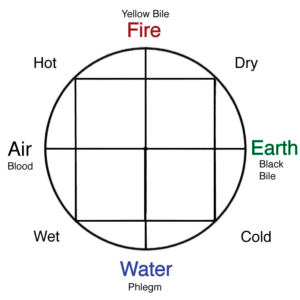 Thus Fire = hot and dry = yellow bile; Water = cold and moist = phlegm; Air = hot and moist = blood; and Earth = cold and dry = black bile. 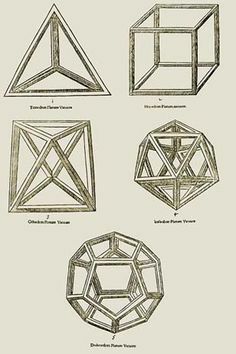 Plato described the fifth Platonic solid, the dodecahedron, as “…arranging the constellations on the whole heaven.” Aristotle’s fifth element, “aether” in Latin or “ether” in English, made up the heavens. Aristotle saw the universe as matter and essence, so essence became the fifth element, or quintessence, in later alchemical theory. Aristotle reminds us very much of the doctor of Traditional Chinese Medicine in his description of the relationships between the elements, the qualities, and the humors. Aristotle, the father of deductive reasoning, knew the Classical Greek proto-scientific philosophers as students of Metaphysics, Logic, Natural Philosophy and Ethics. He is renowned for his founding of the Lyceum after studying at the Platonic Academy, and his tutorship of Alexander the Great. Alexander went on the conquer most of the known world and he founded the city of Alexandria, Egypt, the global center of knowledge in its prime. Aristotelian philosophy was a major influence in the West during the Middle Ages. Aristotle’s philosophy was based on objective observation of nature, the foundation for political science. He divided governments into three categories: the monarchy, the aristocracy, and the polity. The good constitution or government was a moderation of the ruling force. A disordered monarchy was tyranny, a disordered aristocracy an oligarchy, and a disordered polity was a democracy. The goal of the state was the good life of the citizen, and Aristotle endeavored to define the good. According to his observations, the best state was ruled by men of breeding, education, and means. Alexander carried Greek civilization into empire in the form of Hellenism, which produced Epicureanism and Stoicism and which came to influence the Roman Republic that replaced the Greek city-state as leading power. Aristotle’s school, the Peripatos or Peripatetic school, was named for the covered walkways of the Lyceum, the peripatoi. The renowned philosopher and scientist Theophrastus (322 – 288 BCE) succeeded Aristotle as the head of the school. After Theophrastus came Strato of Lampsacus (c. 335 – 269 BCE), an atheist whose focus was natural science, who went to Egypt to teach Ptolemy and Aristarchus of Samos. Platonists, later called Neo-Platonists, like Plotinus and Iamblichus, carried on the teachings of the “Divine Plato,” and many, like Aristotle, studied at the Academy in Athens founded by Plato. Eudoxus of Cnidus (c. 390 – 337 BCE) and Callippus (c. 370 – 300 BCE) were students of Plato, each a mathematician and astronomer in his own right. Aristotle’s own school, the Peripatetic, or Lyceum, was the largest library in history and soon became more popular than Plato’s school. Neo-Platonism was the most mystical school of Greek philosophy. By tradition, the Neo-Platonist school was founded by Ammonius Saccus in second century Alexandria, Egypt, about whom not much is known. Among his pupils was Plotinus (b.204, d.270 CE) who is known as the primary theorist and founder of the movement. Plotinus was born in Egypt, raised and educated according to Greek culture, and lived under the rule of the Roman Empire. His student Porphyry published Plotinus’s writings in The Enneads, and Plotinus’s student Iamblichus became a leading figure in Neo-Platonic philosophy. Alexandrian Neo-Platonists based their mystical philosophies mainly on the Hermetic texts and the writings of Plato. These Neo-Platonists rejected dualistic interpretations of Plato, which focused on the polarity of the universal and the particular. They perceived the universe as a unity containing four planes of existence. From the absolute One emanated the Divine Mind or Logos, the World-Soul, and the material world. Sin was conceived of as man, on the lowest plane, turning away from the One. The philosopher could rise up through these planes through moral virtue and intellectual contemplation, coming at last to absorption in the One, the mystical union. The Neo-Platonic ideas concerning the mystical ascent would later have an influence on Renaissance theologians and philosophers directly through translations of Plotinus, Porphyry and Iamblichus. Mackenna, Stephen (trans.) Porphery: On the Life of Plotinus…Plotinus, The Enneads. Harmondsworth, Middlesex, England: Penguin Books, 1991.